For a bill rejecting any efforts to seize the US from the Alliance, 357 lawmakers voted. All 22 opposed - Republicans. The House of Representatives of the US Congress overwhelmingly passed a bill in support of NATO. This was reported edition of The Hill. For the bill rejecting any efforts aimed at US withdrawal from the North Atlantic alliance, 357 lawmakers voted, all 22 who opposed the Republicans, the newspaper notes. "This bill clearly reflects that Congress still believes in the mission that NATO is performing and will prevent all short-sighted attempts to undermine NATO and unilaterally withdraw from the alliance," Democrat Steny Hoyer told the press. Earlier, The New York Times, citing US presidential aides Donald Trump, reported that last year the head of state repeatedly proposed the idea of ​​a possible US withdrawal from the alliance. 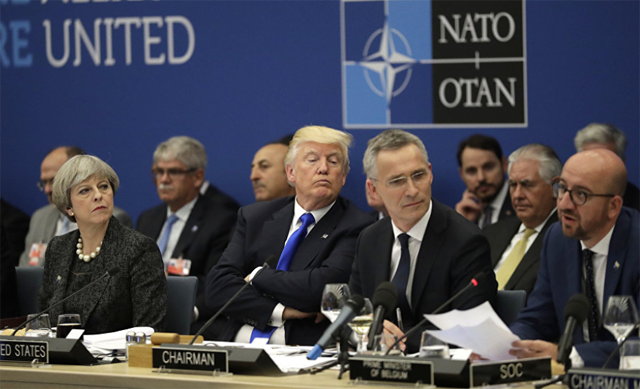 The document contains provisions urging NATO members to fulfill their obligations to transfer at least 2% of their GDP to the defense needs of the bloc. It is also necessary for "reliable financing of the European Initiative of deterrence to counter Russian aggression," the bill says.